Traditional Sicilian Cannoli pastry cases ready to be filled with Ricotta and dried or fresh fruit. 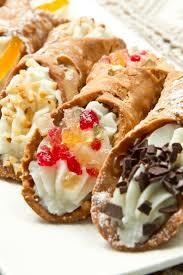 Traditional Cannoli from North West Sicily! 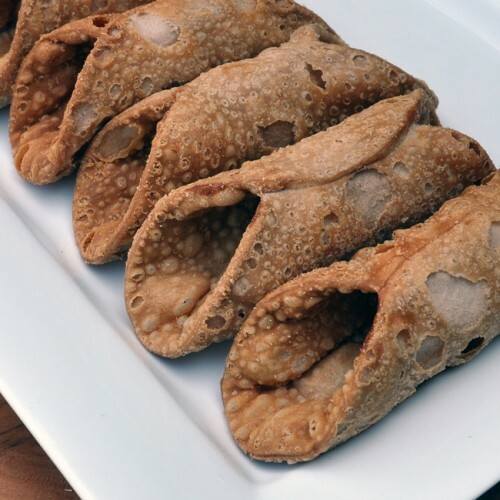 The pastry type cases are filled with a sweetened Ricotta cheese with chopped dried fruit, chocolate nibs or nuts, usually pistachio. Sicilians will travel miles to the best bakery! Try fill as we would fill Brandy Snaps….fresh fruit and cream could be used instead. Shelf life of cases 6 months. 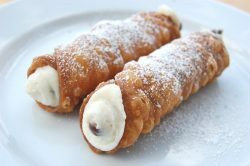 Be the first to review “Cannoli – traditional Sicilian pastry case” Click here to cancel reply.